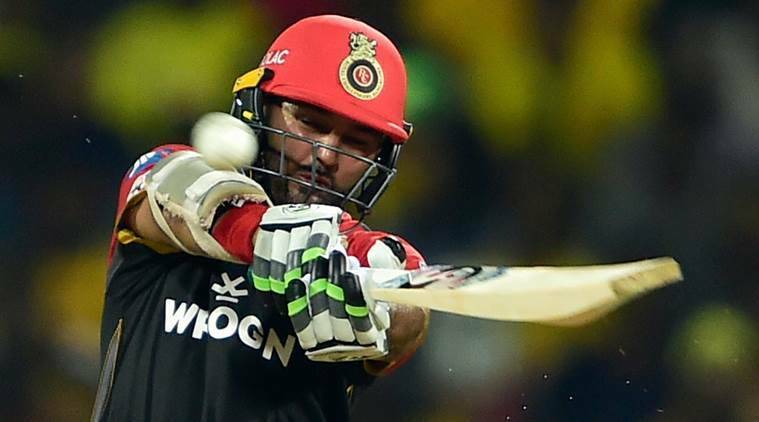 Parthiv Patel contemplated skipping matches but his family said his father always wanted him to play and not to sit at home, and so he decided to take part in the IPL. These days, whenever Parthiv Patel retrieves his phone after an Indian Premier League game or even a practice session, his heart skips a beat. With his father hospitalised in his hometown Ahmedabad after a brain haemorrhage, the Royal Challengers Bangalore wicketkeeper-opener says he dreads those moments when he is unlocking his mobile’s keypad. “I just hope and pray that there is no bad news from the doctors,” Patel told The Indian Express. Before the start of the IPL, in February, Patel had shared his father’s medical condition on Twitter. “Pls keep my father in ur prayers. He is suffering from brain haemorrhage,” he had conveyed. It’s been more than two months since but his father Ajay’s condition hasn’t got better. He is still in ICU and keeps slipping in and out of coma. “When I am playing, nothing crosses my mind, but once a game is over, my heart is at home. The day begins with asking about my father’s progress, keeping in touch with doctors, sometimes I have to take some important decisions. My wife and mother are at home but when it comes to taking any final decision, my approval is sought. The initial phase was critical – should we switch off the ventilator for a few days, or how much oxygen should be given. Such decisions are very tough to take. “I remember the day he suddenly fell down. The next 12 days, I was there in ICU, I didn’t even go home for 10 days. The Mushtaq Ali tournament was happening then and I missed a lot of games. We don’t have mobile phones when we are playing. Once I’m involved in the match, any thought of home doesn’t cross my mind but once the game is over and I’m back in the dressing room, I am constantly thinking about my father,” Patel said. On match days, his family has decided not to reveal anything about his father’s health, and has stuck to this stance for the past few months. “On match days, there have been several times when my family has taken decisions and let me know only after the game. They don’t want to distract me. It takes a mental toll but what can one do? Honestly, there were some negative thoughts before but now the family is prepared for the struggle we are going through,” he says. In these tough times, Patel frequently speaks to his former India teammate and Bangalore’s bowling coach Ashish Nehra. He says Nehra helps him unburden himself. Even as we talk, he disconnects the call saying he would call back — it was time for a facetime chat with the doctor to enquire about his father’s condition.